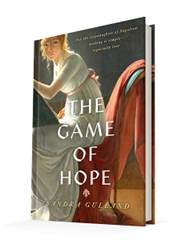 Published June 26, 2018, by Penguin Teen The Game of Hope by Sandra Gulland is a young adult novel about the stepdaughter of Napoleon Bonaparte, Hortense de Beauharnais. A thoughtful that focuses on just telling the story about a person in history, much of it is based in fact where history is not getting altered to fit the story. There’s nothing spectacular about the story of the girl and her early life shortly after the reign of terror that took so many lives during the French Revolution. Moreover, it reflects on her life during this time, how hard it was for her to adapt to all these sudden changes, a new father, and a new France, so different from the one she knew growing up. It is a very personal story being told here, about a person many people do not know. Sure, everyone knows about Napoleon, but how many people know about the women in his life? To read and learn something new about history is enthralling, and this novel delivers that without drooling on. The story does not deter much from the real history. There are slight changes here and there, much of these changes involve just annexing people who had no real impact on her life. 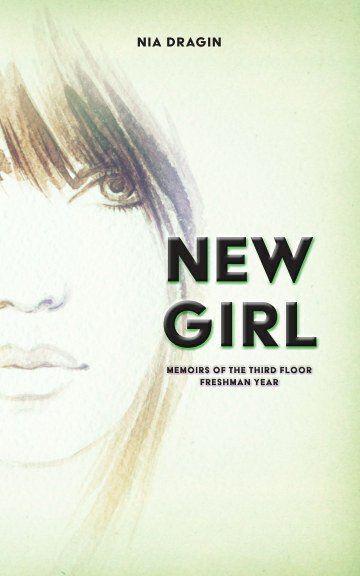 Too many people can clutter a story, and the focus is just about the girls who had a direct impact on her life during this time. Again, these are just minor changes that don’t alter the actual history of the story, which is excellent. Liberties are always welcome, but once a writer begins to change significant aspects, it is no longer historical fiction, it is just fiction based on history. It takes a considerable amount of love, devotion, and willpower to keep a story on the straight and narrow. One has to be faithful to history and the people in it, to respectfully tell a story, and it is clear that Gulland has all of those qualities when it comes to writing. Her story flows, it has character and brings the people to life with love and respect in this novel. The way in which Gulland brings Hortense to life makes her so incredibly relatable. What makes Hortense so captivating is the idea that during this time, she has dreams that are bigger than what her time would allow. Moreover, yet, she does not stop dreaming. Hortense wants to be a composer, not just a daughter, a wife, or mother. She want’s to break barriers, and with the love and support from her new family, she does. It is incredible to see the transition and growth on her part, to go from a daughter staring in, haunted by the past, to a girl who holds her head up, finding that her new life offers her up so many opportunities in love and life.